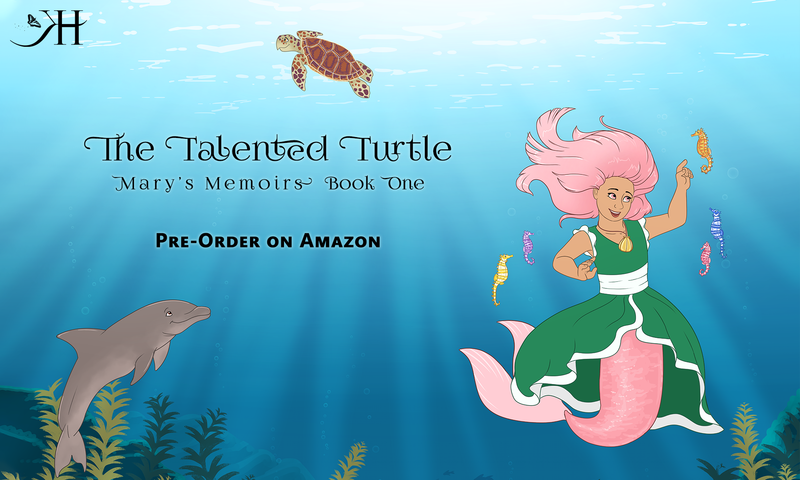 In lieu of a Word of the Day Wednesday post today, I would like to announce that The Talented Turtle (Mary’s Memoirs Book 1) is now available for pre-order for Kindle. It will come out April 12, along with the print version of the book. If you don’t know, Mary’s Memoirs is a children’s chapter book about mermaids in Aquantis, the mermaid empire of Concordia. My daughter, Mary, is in third grade, but has a higher reading level. I was finding it difficult to locate books for her that were challenging and appropriate, so I wrote one for her. There will be a few more, and I will be releasing one a year. Click the image below to pre-order today. It is available for $.99, but will go up to $2.99 on April 12.